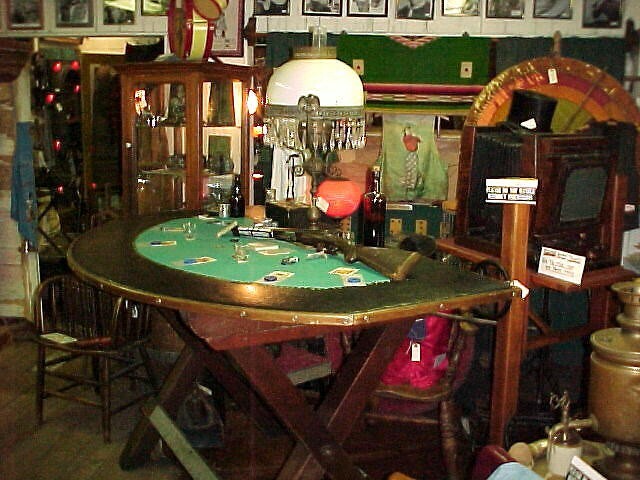 19th Century Genuine Blackjack Table from a northern Idaho Gambling Saloon, used until Gambling was outlawed. Recovered many times. Approx. 72" Wide on backside, 44"inches deep on half moon circle and 42"inches high. separately. Just add stools and you have both a great gaming table and bar for your recreation room or home bar. Perhaps even a Kitchen Island with stools. Email or call to purchase and arrange shipping. This is an extremely rare and rustic Old West collectible. Please email cowboyron@cowboycabin.com with questions or call 406 270-2842.